The London Bridal Show 2017 took place from 5 to 7 March at Olympia London. Visitors headed to the Show to see the latest bridal collections presented at the first international buying event of 2017. The 2017 event saw an increase in visitor numbers from the UK and other parts of the world. The event showcased the best collections from some of the biggest names in the bridal fashion business, as well as, new designs from up and coming designers. The London Bridal Show also featured hugely popular, business-building seminars and workshops. More on that will be covered separately. The London Bridal Show offers the best opportunity to see the biggest names and freshest new design talent all in one place. According to Bridal Buyer Magazine, "this year’s event saw a range of show-stopping styles from slinky fishtails to regal ballgowns, and the selections were a real hit with buyers. Boho is still a strong look for the new year, with stockists and brides looking for relaxed and easy to wear styles. Likewise, lightweight fabrics and less-structured, floaty silhouettes have been hugely popular for the brides heading abroad." 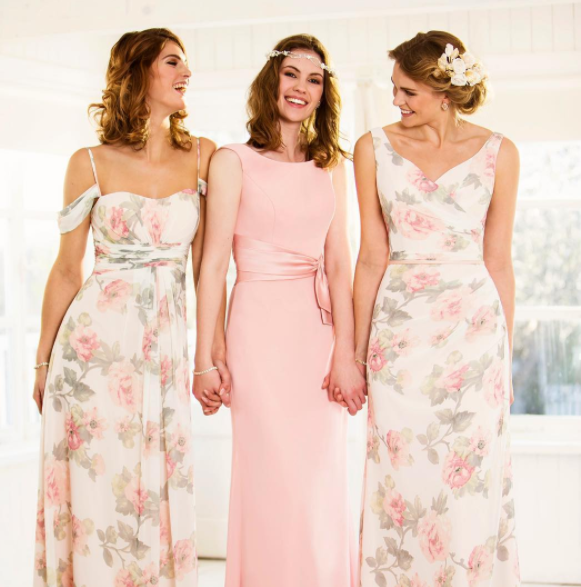 Bridal Buyer added "There’s been a definite move from blush to statement girly pink and, to name a few, Gino Cerruti, Jasmine, LouLou, Justin Alexander, Diane Legrand and Hayley Paige had some fabulously feminine options on show. 3D florals were another new trend with a plethora of gorgeous designs on offer, notably there were some beautiful pieces from Justin Alexander, Julija Bridal Fashion and Gabbiano." "Tulle dresses were everywhere, perfect for the princess bride, and there was an injection of bling with fabulous over-the-top sparkle in occasionwear, bridalwear and accessories. Contrasting with this, plenty of 50s and 60s plain satin styles offered a very simple statement", said Bridal Buyer Magazine.